MRI, the U.S. consumer research division of GfK MRI, which is the mainstay for media planning for many top agencies and brands, has rolled out a new consumer audience segment: cannabis users. 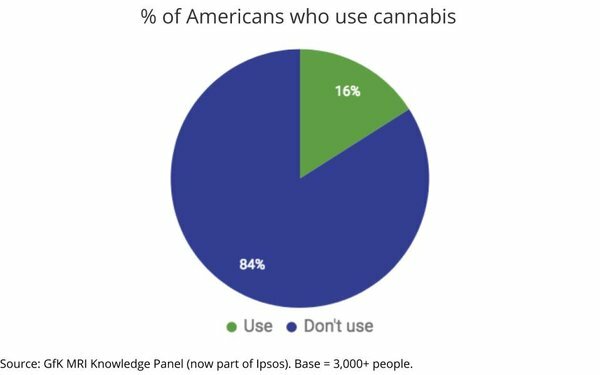 The benchmark study, a 3,000-plus respondent survey using the Knowledge Panel (now part of Ipsos), estimates that 16% of Americans consider themselves cannabis users, with 10% using it monthly and 4% using it daily. 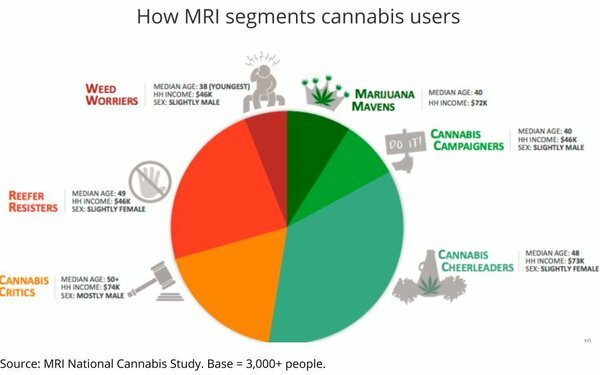 Dubbed the National Cannabis Study, MRI did not say whether it used any weights or controls to factor for the reluctance of some respondents to honestly answer a survey about using a drug that still is illegal in most of the country, but a detailed downloadable brochure breaks the population down into six discrete media planning segments -- "weed worriers," "marijuana mavens," "cannabis campaigners," "cannabis cheerleaders," "cannabis critics," and "reefer resisters" -- along with their socio-economic composition.